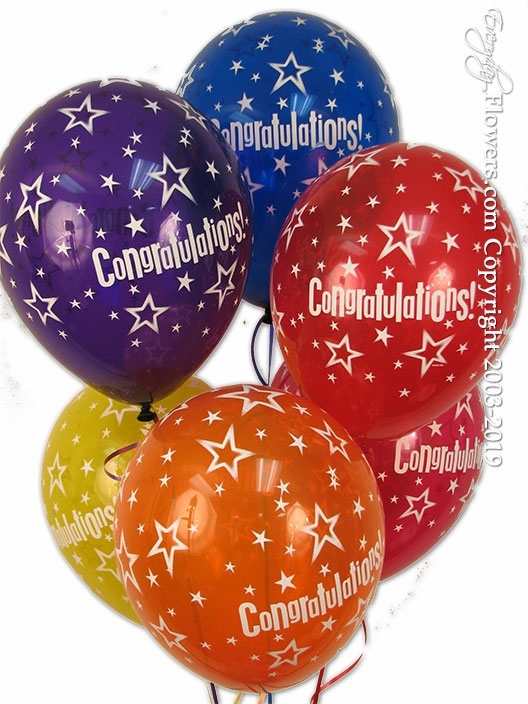 A bouquet of six assorted colored congratulations balloons printed with congratulations and stars. Available in assorted colors. Price includes one balloon weight matching strings and Hi-Float placed inside of the balloon for maximum float time. Hand delivered by Everyday Flowers to all cities located in the Orange County California area.